Want to live in Canada? Why not check out Calgary and its neighborhoods? From Downtown Calgary with its cultural attractions and historic sites to pique any tourist’s interest, or if that is not to your taste why not try. Calgary is most known for being the sunniest city in all of Canada. You can visit here any time of the year and you’ll be treated to moderate climes and subdued mountain breezes. In total, Calgary has 198 friendly neighborhoods, which are referred to as ‘communities’ by the City of Calgary, and 41 industrial areas. Also known as ‘center city’, Downtown Calgary offers plenty of cultural attractions and historic sites to pique any tourist’s interest. Among these landmarks is the Devonian Botanical Gardens which host seasonal exhibitions and the historical ‘Burns Building’. Downtown Calgary also offers plenty of fun sites and activities for the younger livelier crowd in Prince’s Island Park where open air festivals are held as well as the Olympic Plaza and Millennium Park for skaters. Commonly known as a part of Downtown, Beltline has the densest population and features the most urban surroundings. It is in this part of Calgary that you will find the picturesque Victoria Park which houses a celebrated monument in commemoration of the Second Boer War located in Central Memorial Park. 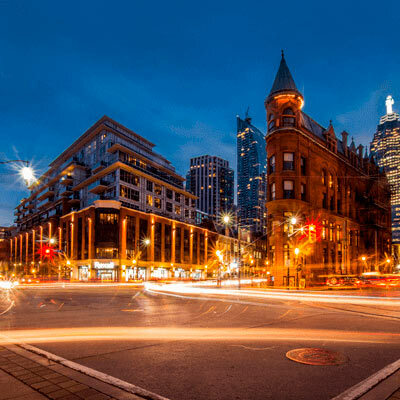 Down on 17th Avenue you’ll find a concentration of bars, restaurants, nightclubs and shopping outlets which are perfect for anyone looking to have a good time out on the town. 17th Avenue is thus aptly nicknamed the ‘Red Mile’ for those looking to paint the town red. This aged southeast community is filled with parks, pathways and quiet suburbia. This is the perfect place to settle and enjoy a simple life with your family. Though this area is mostly suburban, it has its fair share of wildlife sightings with Carburn Park nearby. 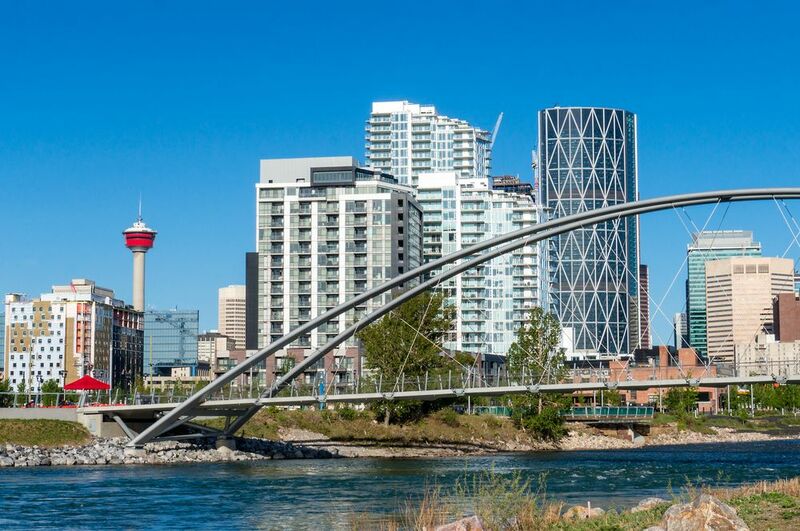 Located near the Bow River, you are able to take a stroll across a pedestrian bridge in order to reach other parts of the city. Residing in Hillhurst and Sunnyside, this fun and vibrant neighborhood is located north of the Bow River and is a hub for interesting stores, restaurants and art houses. Originally a business revitalization zone, this district is abuzz with many sites and locations to keep the active tourist entertained. Every July, Kensington hosts a Sun and Salsa festival which is a fun activity to share with the family. In addition to this, it also hosts the Bizarre Bikes & Bazaar in May. Distinguished as the oldest neighborhood in Calgary, Inglewood is found across the Elbow River and Fort Calgary. This neighborhood is most renowned for being the shopping and arts district and has a Bird Sanctuary, an urban wildlife refuge. Apart from these attractions, Inglewood is also home to the Calgary zoo and many nature preserves. If you fancy yourself an eccentric, you’ll feel right at home here as it is a hub for art and talent. Inglewood offers you over 100 boutiques, eateries and other fun festivals to indulge in and is easily accessible via International Avenue (17th Avenue SE).